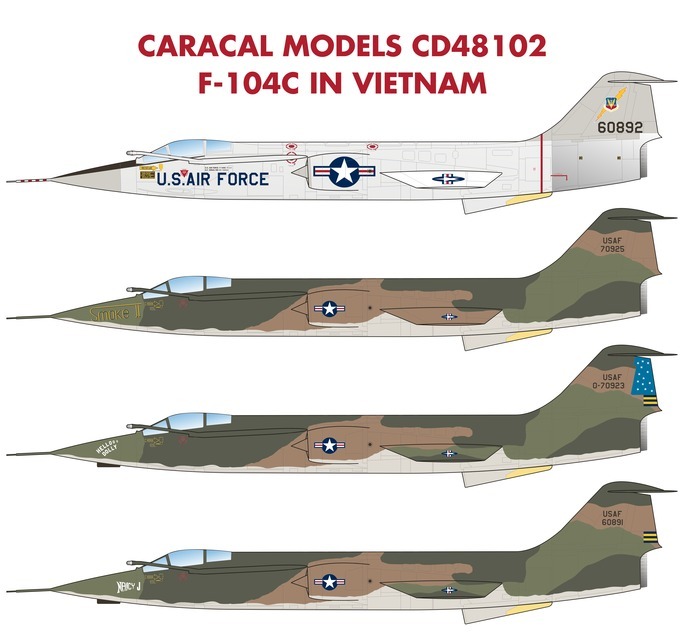 Accurate Vietnam-era stencilling for one silver and one camouflaged aircraft are included. We also provide white and black alternatives for the USAF serial numbers applied on the camouflaged aircraft - these numbers were white during the early stage of deployment. This set was professionally screen printed by Cartograf in Italy. 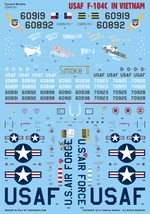 You can buy this decal sheet securely with your credit card or PayPal account now.